It’s a constant source of amazement to me how totally unrelated events can coincide, resulting in a further event of a like nature. Today is one of those days. Not having created a new blog for a few days I was scratching my head for a subject as I read other blogs that had recently arrived. Firstly, I came across Temasek Garden’s response to Cee’s Black and White Challenge. Pekebun had chosen ‘Trees,’ for her response. To that end I’ve been ‘tree’ hunting for the competition where the image limit is six per member, three in the print category and three in the projected image category. Eureka, a subject for today’s blog, thus bringing three unrelated events to a conclusion. Luckily where I live, trees are an abundant part of the natural environment. Most of our streets are tree lined and the town is fortunate to have two tree lined rivers nearby. Actually, the Wollondilly River bisects town and is only a few hundred yards from my front door. So, I only had to go for a short walk to get five of my images and the sixth is from the banks of the Darling River, many hundreds of miles from home. The Darling River by the way is the third longest river in Australia. 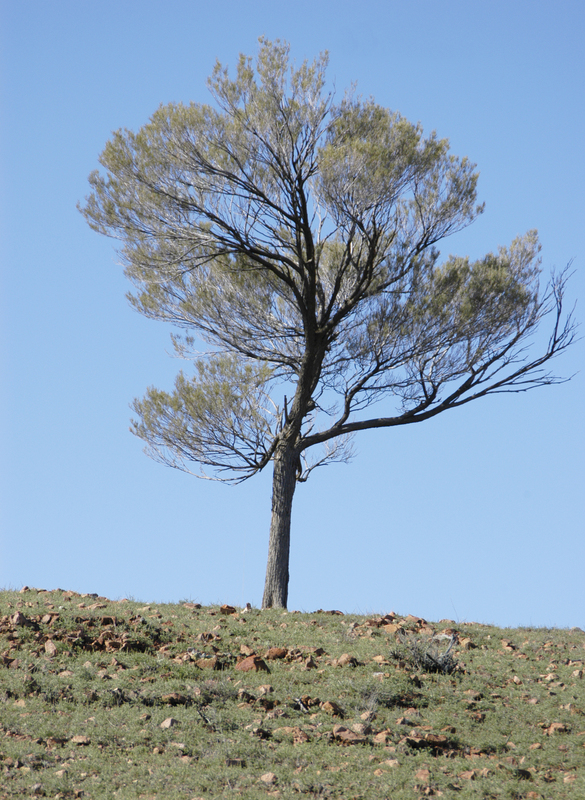 It is 1,472klms (915 miles) long and traverses some of the most arid areas of my home State, New South Wales. STANDING ALONE ON A WIND SWEPT HILL NEAR HOME. ON THE BANKS OF THE WOLLONDILLY RIVER JUST NEAR HOME. 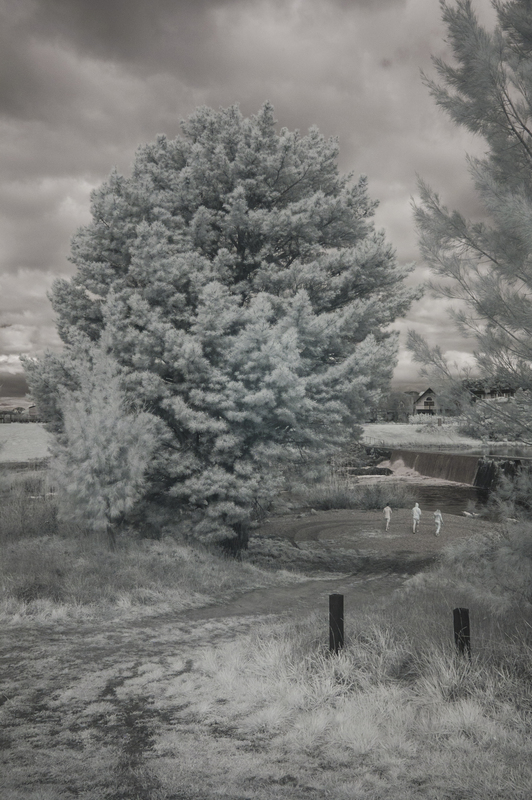 INFRA RED IMAGE. 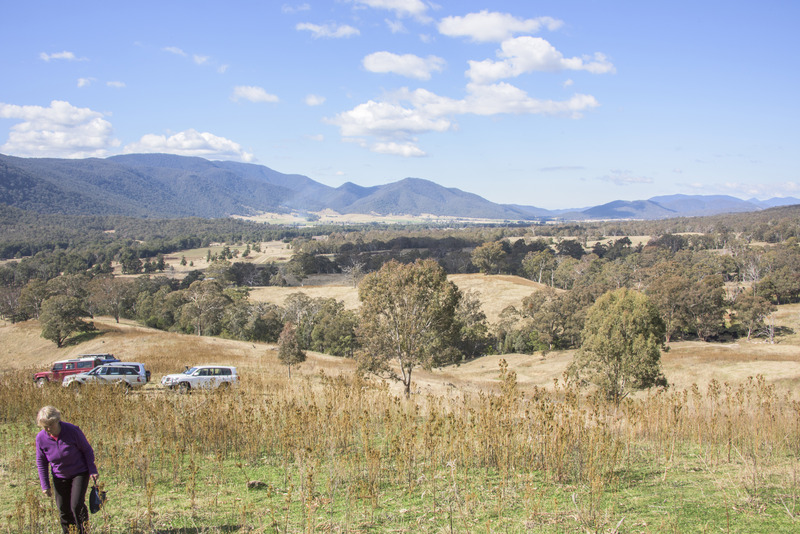 LOOKING OVER THE WOLLONDILLY RIVER NEAR HOME. INFRA RED IMAGE. 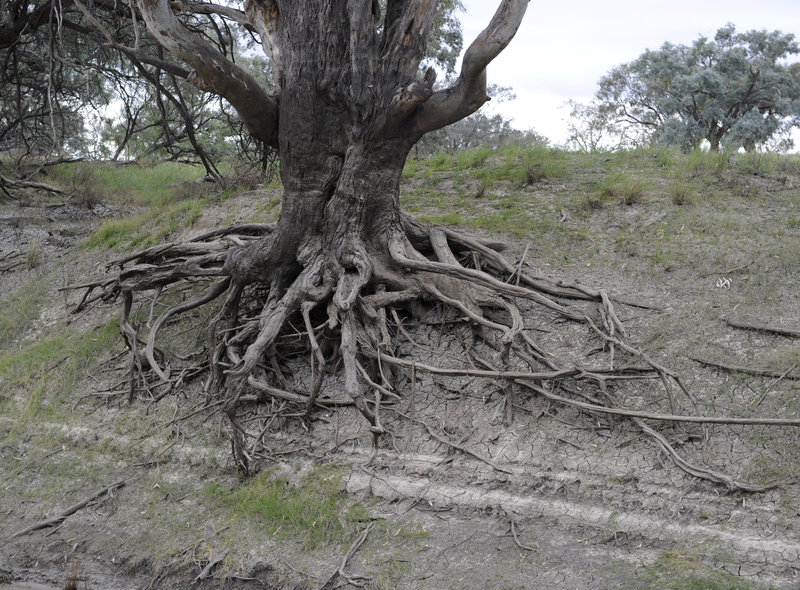 AN OLD MAN ON THE BANKS OF THE DARLING RIVER NEAR BOURKE, NSW. AUTUMN LEAVES ON THE ROADSIDE OUTSIDE HOME. AN AVENUE OF TREES IN A ROADSIDE PARK NEAR HOME. 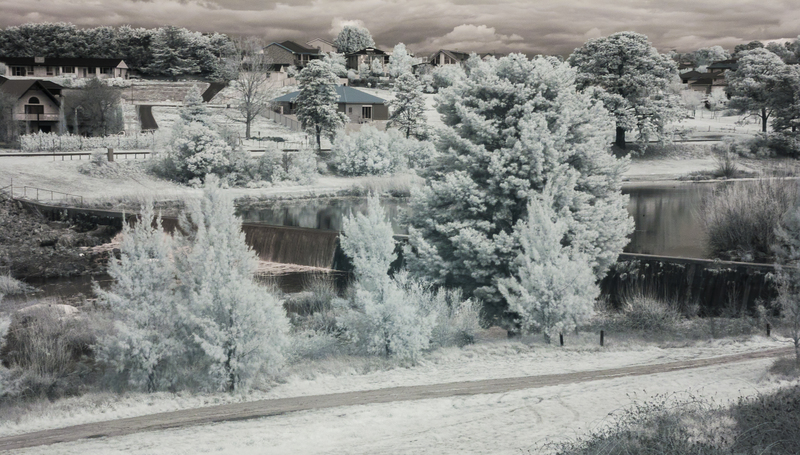 The infra red images were made with my Nikon D100 converted to only make infra red images. THE WATTLE – AUSTRALIA’S NATIONAL FLORAL EMBLEM. The 1st September in the Southern Hemisphere marks the official first day of Spring. It’s also celebrated here in Australia as Australian National Wattle Day. The day is significant for us because on the 1st September, 1988, the wattle was proclaimed as Australia’s National Floral Emblem. Most Importantly, the wattle is also included in Australia’s Coat of Arms which was proclaimed in 1912. 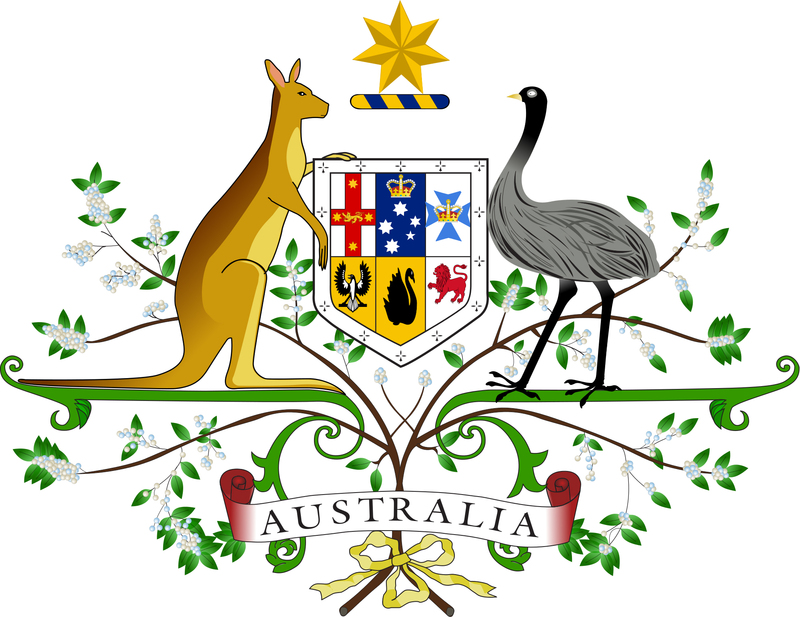 AUSTRALIA’S COAT OFF ARMS WITH THE KANGAROO, THE EMU AND THE WATTLE. Back to National Wattle Day, when we should all, by tradition, wear a sprig of wattle on our lapel or somewhere else on our clothing. In all of my life I’ve never seen this done. Perhaps it is because the beautiful yellow blossoms of the wattle are one of the great causes of hay fever people experience during spring and summer. 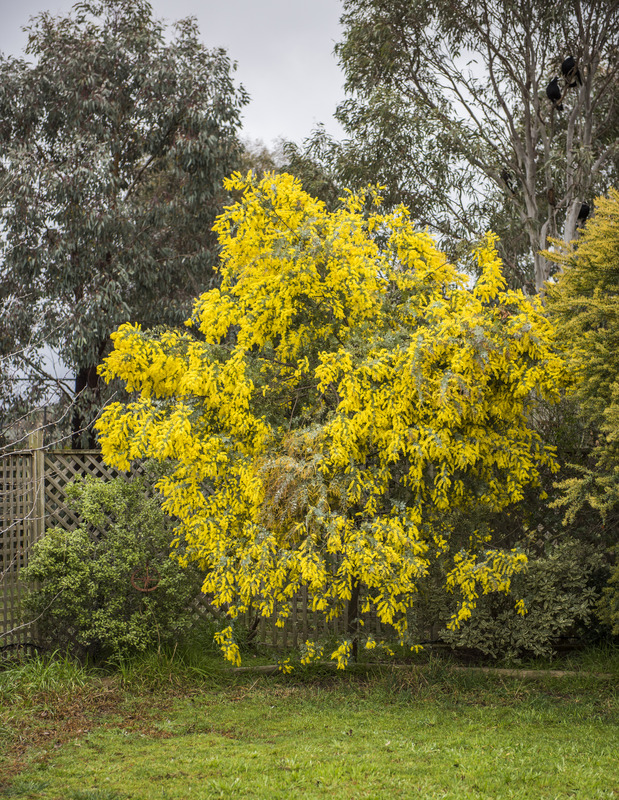 When She Who Must Be Obeyed and I were deciding what to plant on our bare ground block of land we decided to add an occasional wattle to the variety of eucalyptus native to our area we thought would grow well. It’s 15 years now since we planted over100 tube stock trees in our back yard including a few wattles. 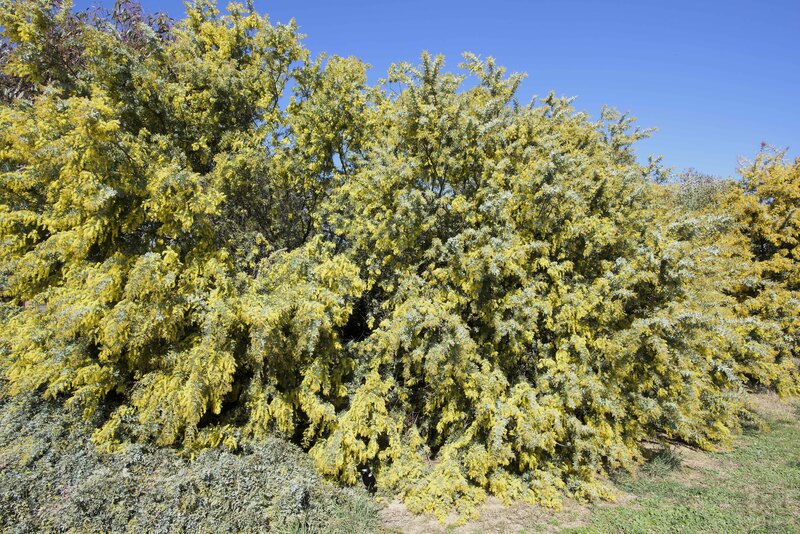 The wattles are fast growing and provide great protection for other trees and shrubs whose growth is considerably slower. As time passed, many more wattles sprung up through self seeding and now flourish around our yard. Fortunately we are not hay fever sufferers to any marked degree and therefore we can really enjoy the yellow blossoms in all of their beauty. Here are a few images of our wattles wearing their beautiful bee attracting blossoms. FABULOUS FOLLIAGE FROM JUST ONE TREE. 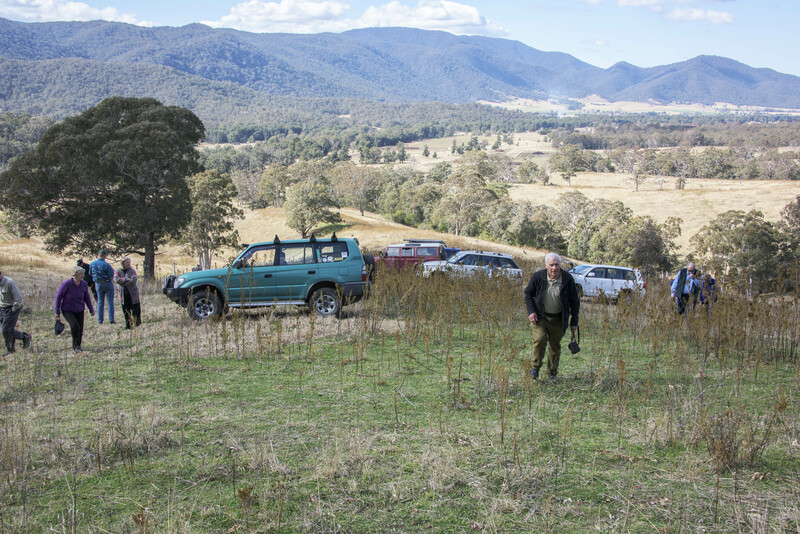 THE BASE AREA ON THE LEFT IS A LOW GROUND COVER VARIETY OF WATTLE. THIS SELF SEEDED BEAUTY IS DIRECTLY ACROSS FROM THE KITCHEN WINDOW. 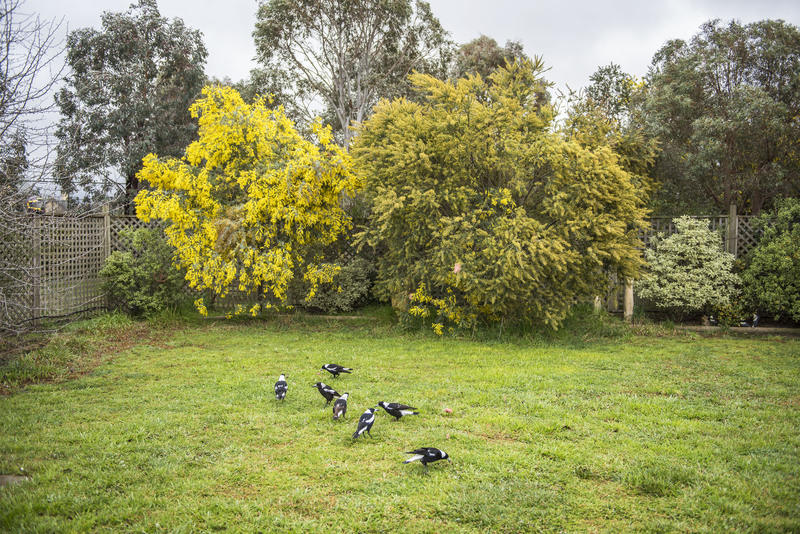 TWO DIFFERENT WATTLE TYPES AND OUR SOME OF OUR RESIDENT MAGPIES. The eucalyptus in the background were tubes we planted over 15 years ago. At the time of planting they were about nine inches tall. They are now well in excess of 20 feet tall and provide safe nesting for many native birds. They also form a pleasing sight barrier between us and surrounding residences. 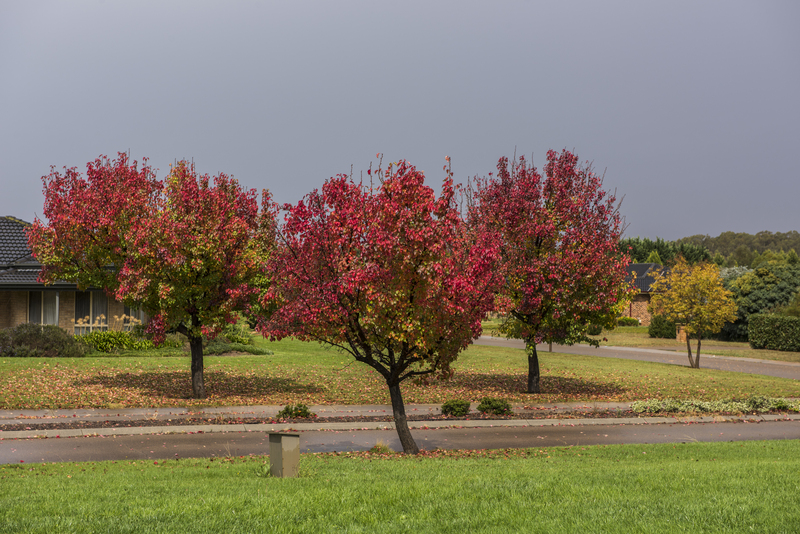 All of our trees are basically drought proof, one of the reasons we planted them in the first place. 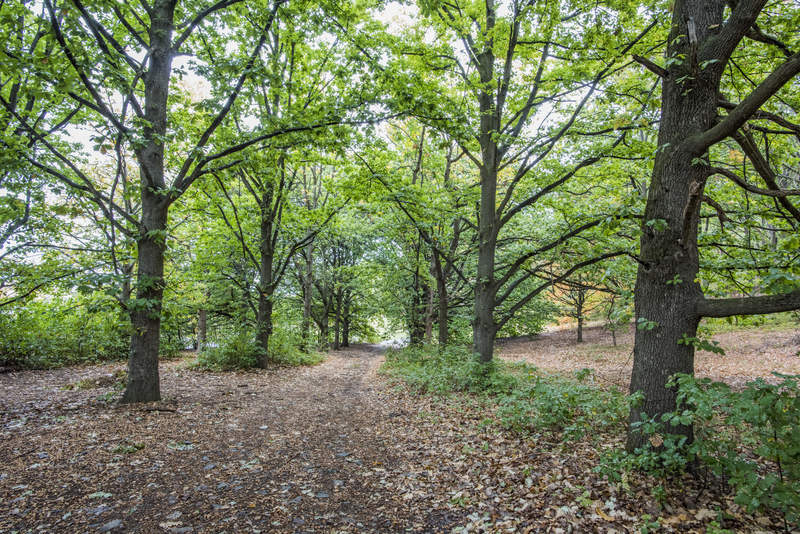 Now, our city’s occasional water problems have been solved and we are thinking of adding some european trees to the mix, just to give that little touch of deciduous difference to our evergreen surroundings. I was going to hold this post until the 1st day of September but enthusiasm got the better of me. BREAKFAST, LIES, COFFEE AND A LITTLE BIT OF ALL WHEEL DRIVING. She Who Must Be Obeyed and I are members of our local Landrover Club. I say local even though the club is based in Canberra, our Nations Capital. It’s only a 100 klm drive from home. Just down the road really. 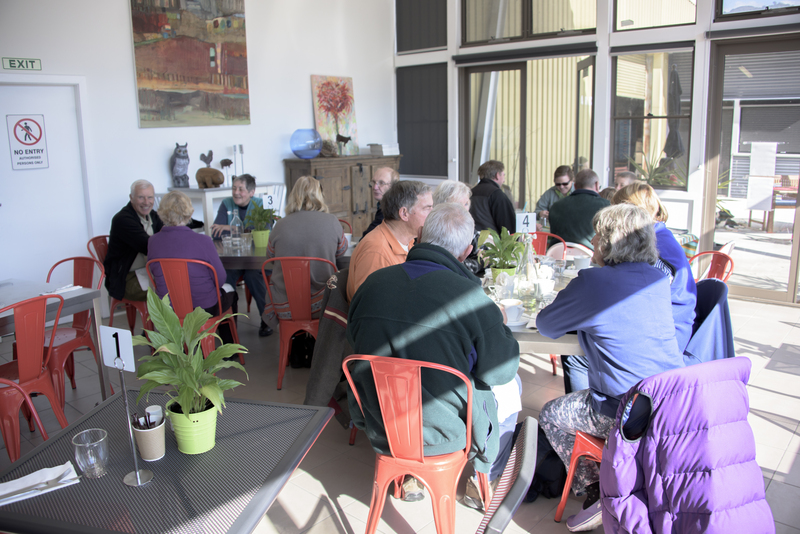 On a regular basis the club organises what is known as the Breakfast, Lies and Coffee trip. If there happens to be a bit of driving ‘off road’, then that’s a real bonus. 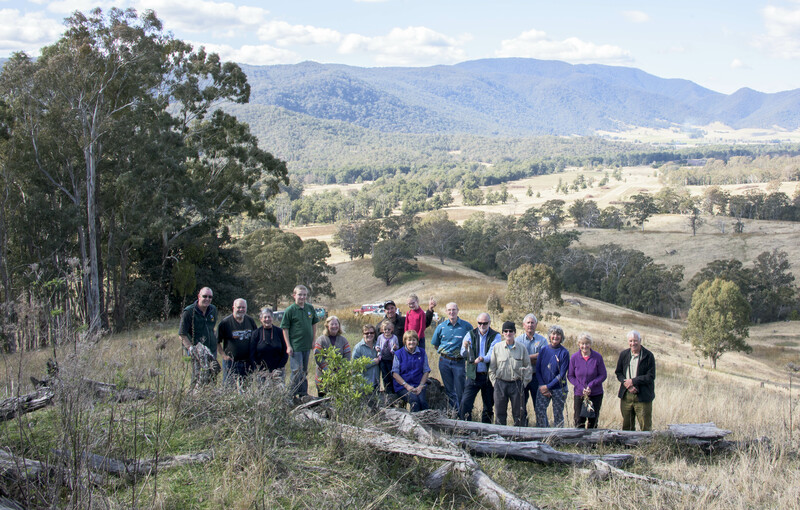 Yesterday, Sunday, we met up with 17 other club members and their 10 vehicles just out of Canberra to start our BLC run. Departure time was 8am and after a short briefing by Russell, our intrepid trip leader, we were on the road, exactly on time. Our destination was a little orchard and cafe called Wisbeys Orchard Cafe in a location called Araluen. After about and hour and a half of uneventful driving on bitumen roads we arrived at our destination. 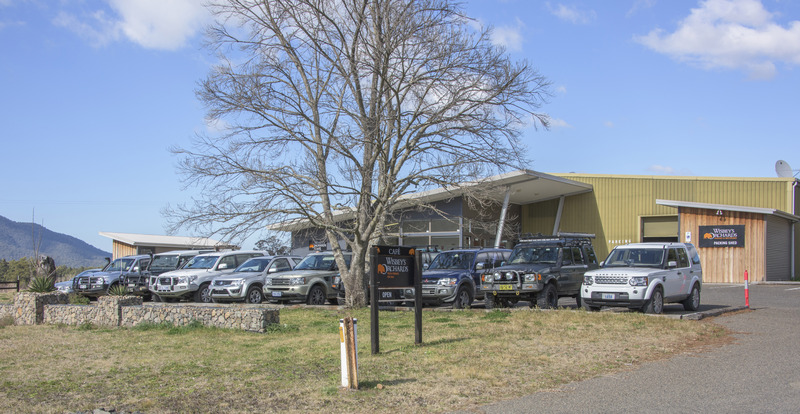 OUR TEN FOUR WHEEL DRIVE VEHICLES IN THE PARKING LOT AT WISBEYS ORCHARD AND CAFE, ARALUEN, NSW. The staff of this delightful orchard cafe, under the watchful eye of our hostess, Robyn, served us all in record time with our individually ordered a la carte breakfasts, coffee or tea. OUR LITTLE GROUP HAPPILY DEVOURING OUR BRECKY DELIGHTS. After breakfast, and in a surprise move, orchestrated between Robyn and our trip leader, Russell, we were invited to follow Robyn in her Landrover Defender 110 to her private, off road, valley view point Robyn refers to as Champagne Hill. We were a really privileged group as previously, only family members had been welcome there. THROUGH THE GATE AND WE WERE ON OUR WAY TO CHAMPAGNE HILL. 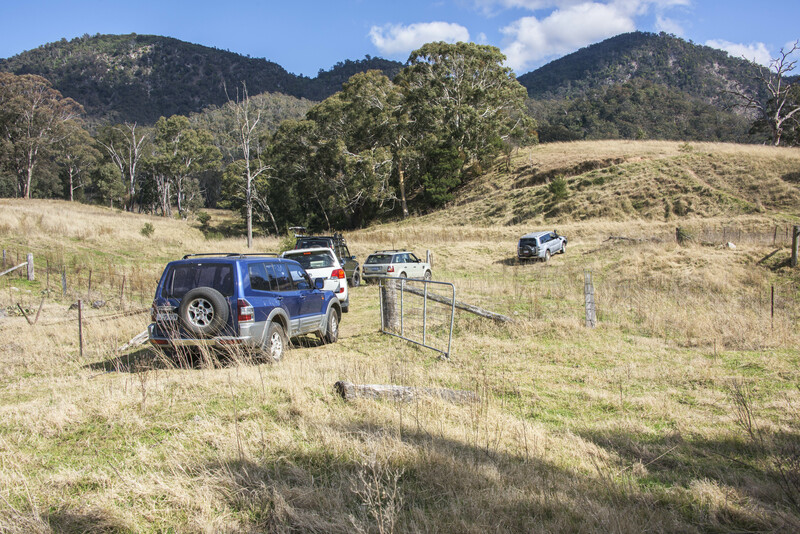 After following Robyn on a pleasing hill climb with 360 degree scenic views we reached a spot on Champagne Hill were we anchored our vehicles and walked a short distance uphill to our observation spot. Robyn waited for us near a fallen tree that provided ideal seating for those of us not quite as sprightly as we once were (I mean me). After taking in the wonderful panoramic valley view, we posed for the compulsory group photo, courtesy of our hostess, Robyn. POSING FOR THAT IMPORTANT GROUP PHOTO WITH AN AMAZING BACK DROP SCENE. NO WONDER IT’S CALLED CHAMPAGNE HILL. 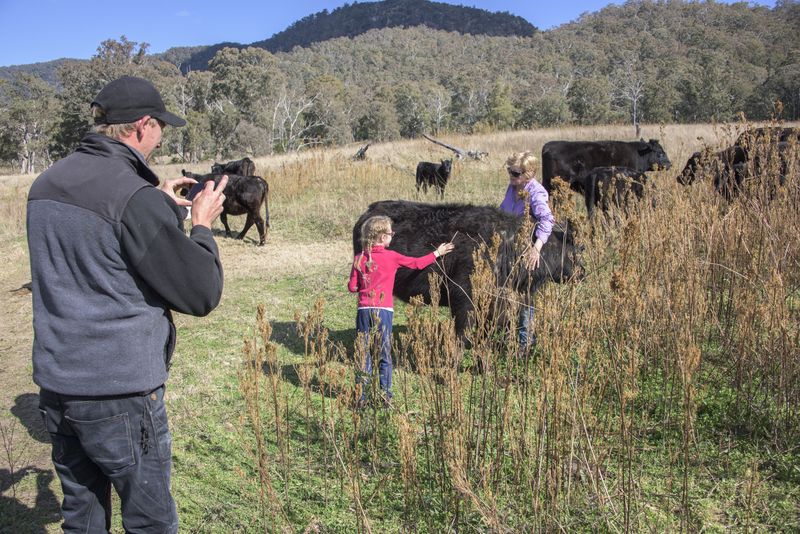 On the way up to Champagne Hill we had passed through a mob of curious Black Angus cattle. 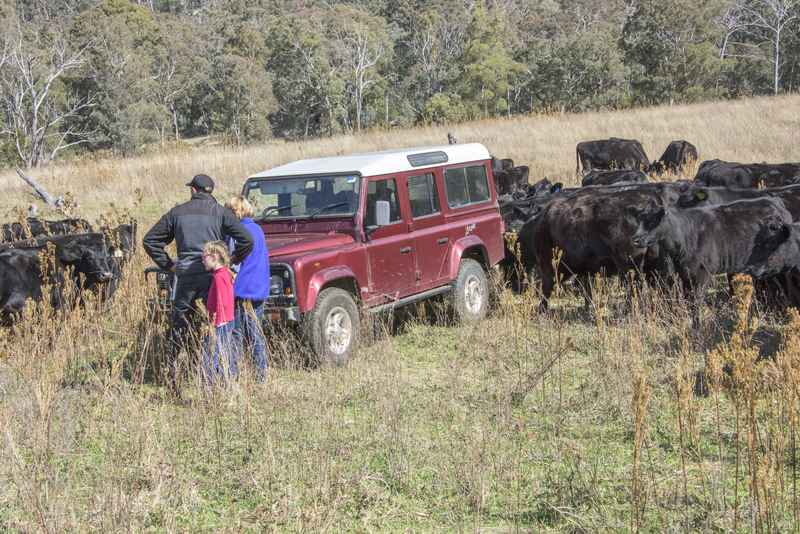 On the way back down, Robyn invited us to watch her hand feed them with the fodder she had piled roof high in the back of her Defender. Before we started our descent Russell, our trip leader, gave us a briefing on the narrow dirt road we would be traversing should we decide to accompany him to the small mining village of Captains Flat. 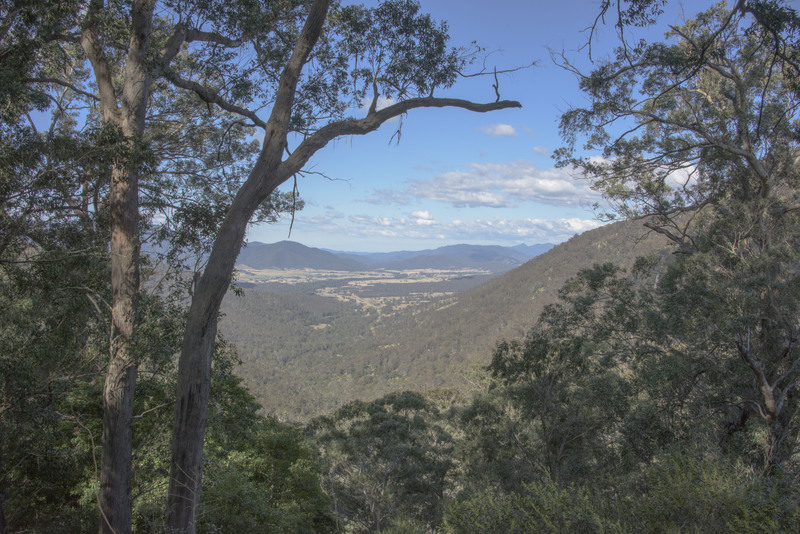 He advised that on the way a short stop would be made at Clarke’s Lookout, a worthwhile break. Many of us decided to follow along. OUR TRIP LEADER DOING HIS BRIEFING. The descent nearly over, It was fun to get a dose of rural life first hand and the cattle were most obliging as we all looked on. WHO LET YOU INTO MY PADDOCK? 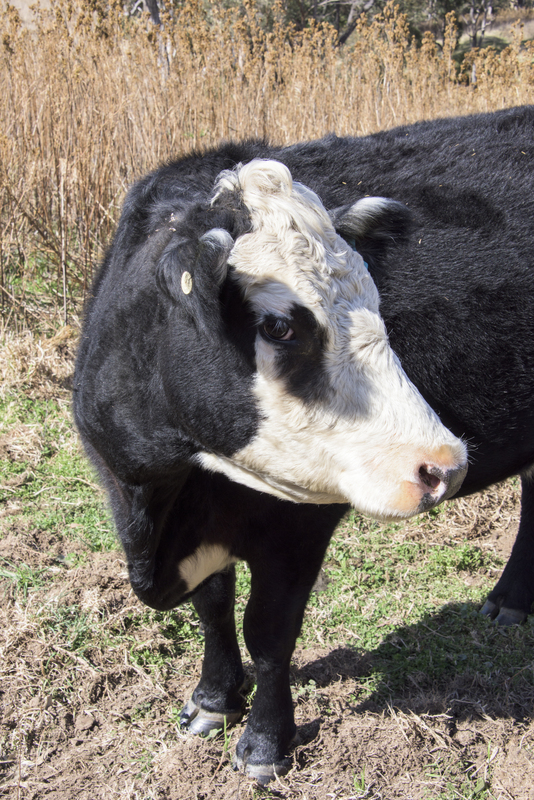 UP CLOSE AND PERSONAL WITH ROBYN’S FAVOURITE FAT CALF. 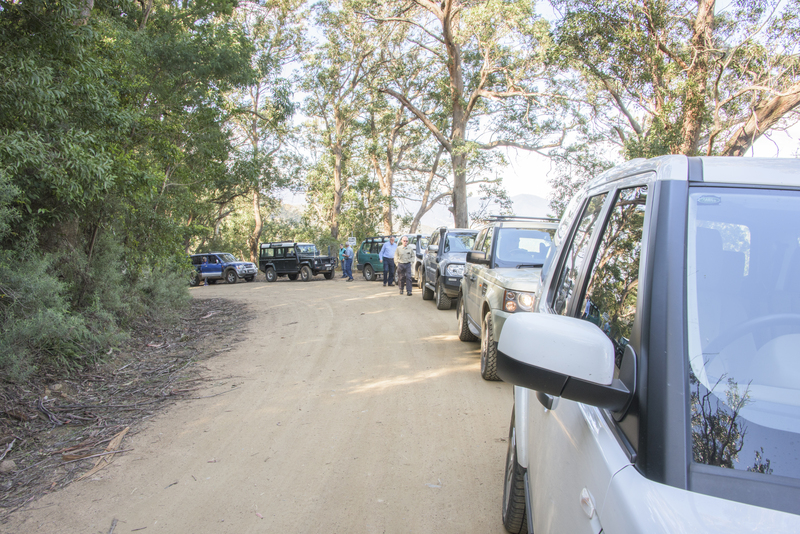 After farewells, we left the farm and those of us heading towards Captains Flat followed our trip leader’s vehicle. 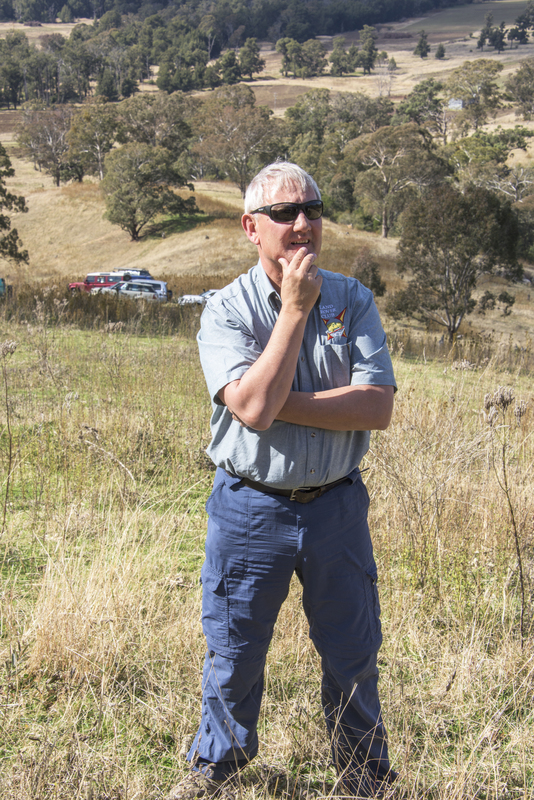 He was spot on in his briefing, the road was narrow, winding and in places hard to comprehend how two vehicles travelling in opposite directions could pass each other. Steep drop offs abounded and concentration was required. Fortunately the dirt surface was well maintained and presented no problems. It wasn’t long before we reached Clarke’s Lookout and it was well worth the drive. A wonderful valley view presented itself, framed nicely by trees. A FINAL YARN BEFORE HEADING HOME AFTER A GREAT MORNING’S RUN. 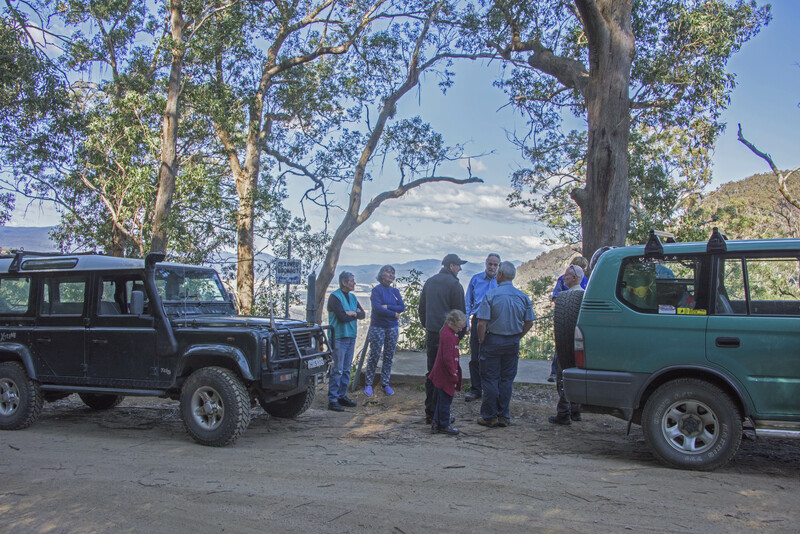 THE CONVOY READY TO DEPART CLARKE’S LOOKOUT FOR THE RUN INTO CAPTAINS FLAT AND THEN ON TO HOME. C ARS, CARS AND MORE CARS. Out of the blue one day last week, She Who Must Be Obeyed suggested we buy a new car. Great idea I thought, our present vehicles are large and cumbersome, will not fit in multi story car parks, are expensive to maintain and are getting a bit long in the tooth. Mr Brown as we call him is 31 years old and qualifies to be registered as an historic vehicle. We bought him new in 1984 and he has travelled nearly 500,000 klms. Still goes like a rocket and never ‘fails to proceed’ as is said in Rolls Royce parlance. Then there is Mr Green. He is a lot younger at only 13 year of age. He too has been up a few hills and is nearing 400,000 klms on the clock. As you can see, we are not sit at home types. So, the tyre kicking commenced almost immediately. Of course, our two beloved Landrovers were not going to be looking for a new home. Indeed not, they are part of the fabric of life at Casa Creakingbones and thoughts of trade ins or for sale signs were never a consideration. First, VW’s. Lovely, smart, a little quirky, reasonably priced and the two of us could fit in the front of the vehicle range with reasonable comfort. Next we looked at the KIA range. The Cerato with all its modern electronics and gadgetry was spacious, comfortable, within our price range and the colours available were all desirable. It even has a full size spare tyre and wheel. Then came the Mazda 3. Wow, luxuries galore, everything that opens and shuts, sharp pricing, great reputation and is the most popular small car in our little part of the world. Not far away from the Mazda dealership is the Nissan car yard. Boy oh boy, is the Nissan Pulsar SSS a car and a half. Electronics everywhere, turbocharged petrol engine, loads of torque, spacious, great trunk for filling with groceries or picnic gear. In metallic red paint it looks like a million dollars on wheels. Finally we took a peek at the little Suzuki Swift. Great little machine, realistic price too, you could buy a matching pair for just a tad under the cost of the top of the range models we had previously looked at. Back at home, armed with brochures, price lists, option schedules, service costs, road side assist tables, standard and extended warranty comparison sheets, we commenced drawing up our comparison list. Regular references to reviews contained within Mr Google were also undertaken. All done we began allocating points out of ten for relevant features in order to reach a rational conclusion about our intended purchase. Colour was not an issue as we both know that heat from the sun comes in through the car windows, not through the body work, so white or black, who cares. Then we had a spontaneous joint eureka moment. Are we both stark raving mad? Why do we need another car? We have two vehicles already, both pass mechanical inspection tests, are regularly serviced and reliable. We know them backwards, they even have matching number plates and I suspect they even know their names. Then there is the motor bike too and three bicycles. As an extra bonus, we live within easy walking distance of our town’s main street and it’s only $10.00 in a taxi if we don’t feel like walking home with the groceries. Then there was immediate consensus over the inevitable coffee break. A new car is no longer on our acquisition list. On Monday I’ll be on the phone to each of the friendly salesmen we met, just to let them know that we are out of the market but will keep them in mind should we embark on this exercise again in future. The car bit out of the way, I can now begin to scheme and plot about acquiring a hot air balloon. Back in July my iMac refused to upload images to my blog.To overcome the problem I turned to MacBook Pro where everything worked fine except being an old Mac using an outdated operating system it was snail pace slow and took forever to process RAW images..
Then I remembered that I’d mothballed my old Mac Mini and it’s resurrection commenced. First I had to load Photoshop CS6. All went well until Adobe called for the key to my copy of Photoshop CS5 extended before CS6 would load. Being a bit of a bower bird I located the vital key, uploaded the numerals and bingo, all went well for about ten milliseconds before my power board flipped its circuit breaker. OK thought I, switched the breaker back on and OH no, same thing. Tried again and wow, mini burped, screen illuminated, the Apple logo appeared and then so did the dreaded bloody rainbow coloured revolving wheel. 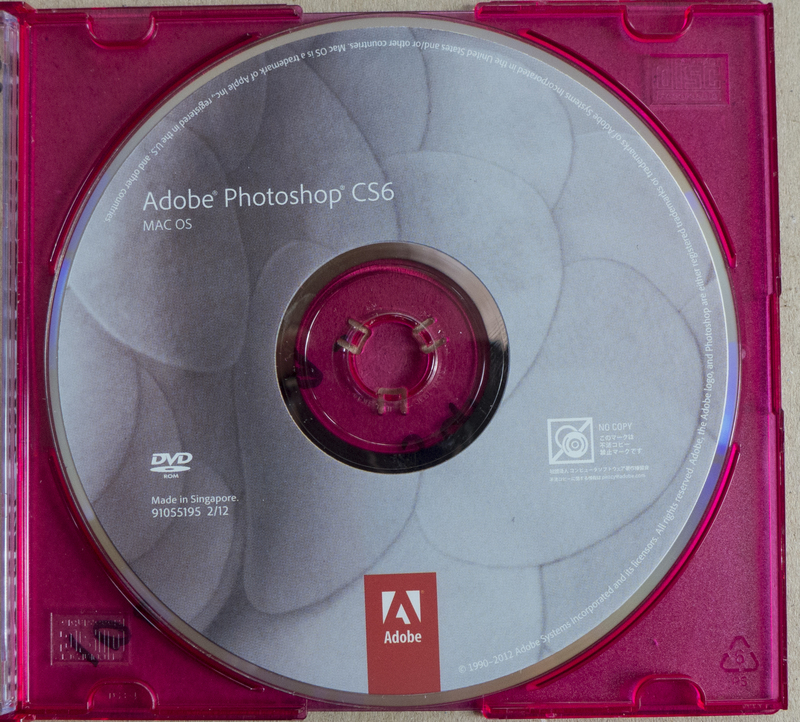 After four or five more attempts with the mini and efforts to get my beloved Photoshop CS6 disk released I was stumped. It was was firmly lodged in the mini. How to retrieve it. All methods know to man failed. Off to the nearest Apple store, only 60 miles away. Mini in hand. Fantastic service too. ‘How long have you had it’? I was asked. ‘Quite a while’, said I. ‘What’s the matter with it’? 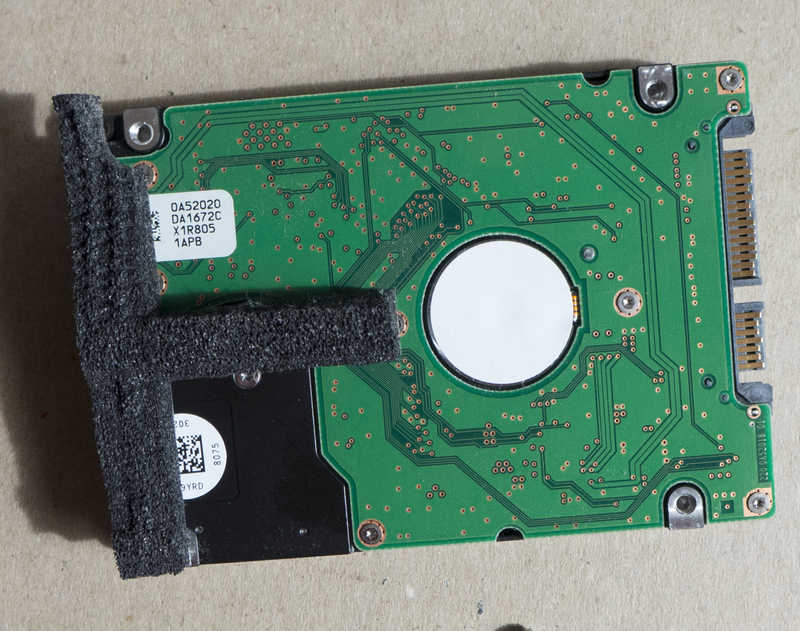 ‘My Photoshop disk is stuck in it’. I replied. 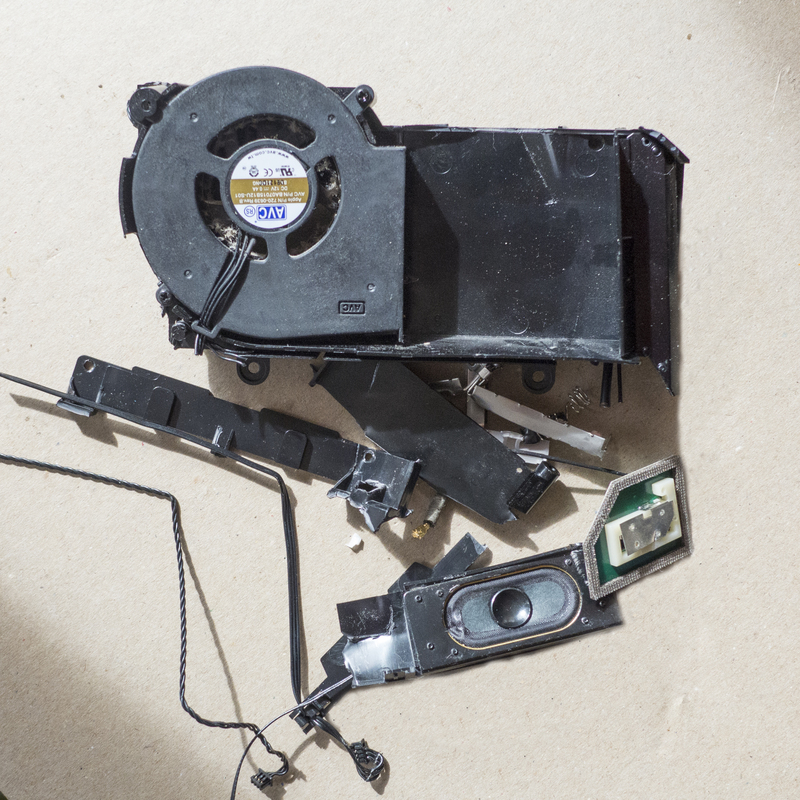 With that the Apple engineer peered at the back of the mini case, entered its serial number into his computer and told me the Mini was ‘Vintage, can’t be repaired because parts are no longer available’. ‘After all,’ he said,’It was made in 2007′. 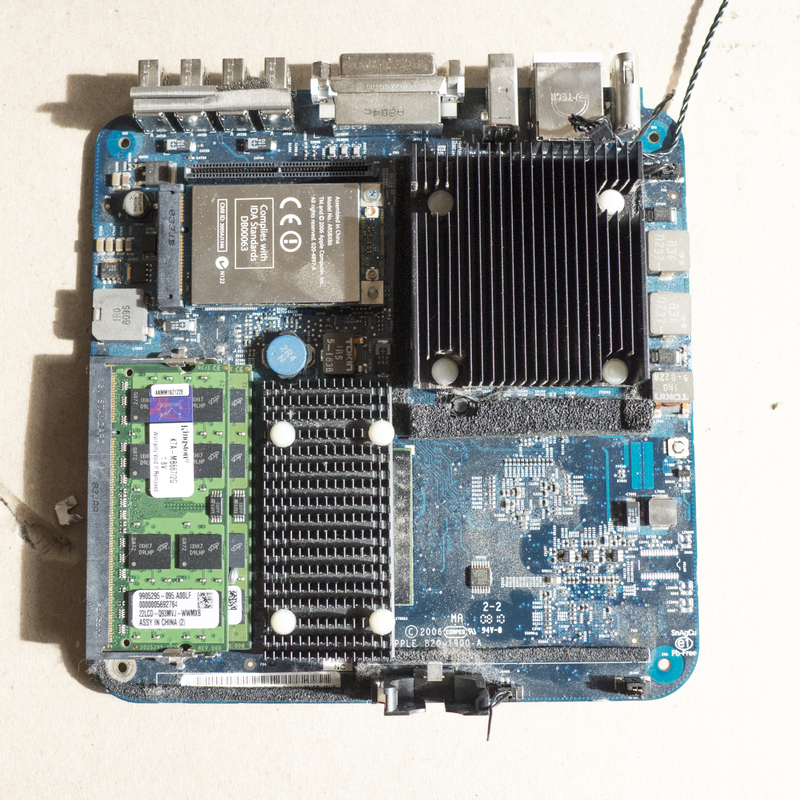 I enquired how I could open the case as there were no visible screws. My Apple man smiled as only a genuine computer nerd can, and proudly informed me that there were no visible points of entry. I’d already alluded to that fact. 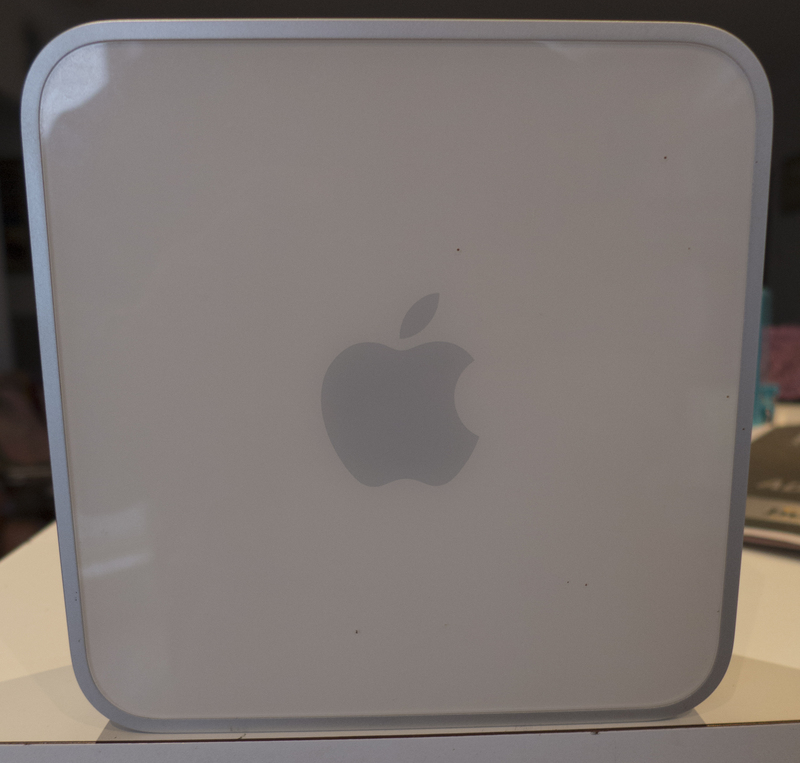 Back home with a new Mac Mini under my arm I turned to the traditional blokes method of opening an object when all else fails; a screwdriver and a bit of brute force. On this occasion a hammer was unnecessary. 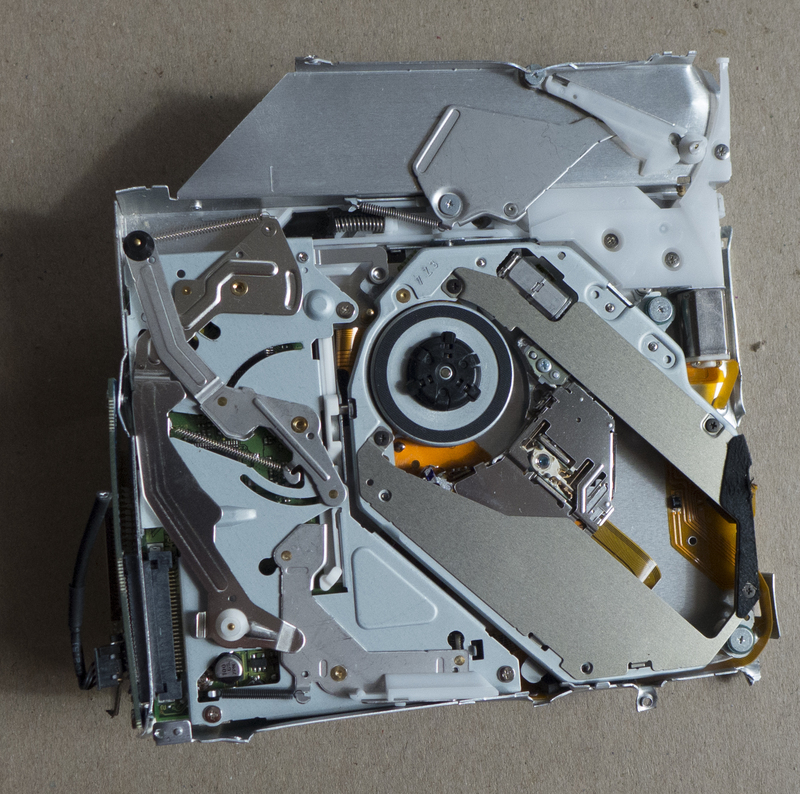 The good news is that after totally destroying my old mini I retrieved the CS6 disk undamaged and have now successfully uploaded it to the this new mini. For your absolute amusement, hereunder are a few images of my handiwork. No need for the images to have titles, they speak for themselves. I’ve got a few ideas about the names of these parts but as this is a family oriented blog, their names shall remain unrecorded. I’m sure you know where I’m coming from. 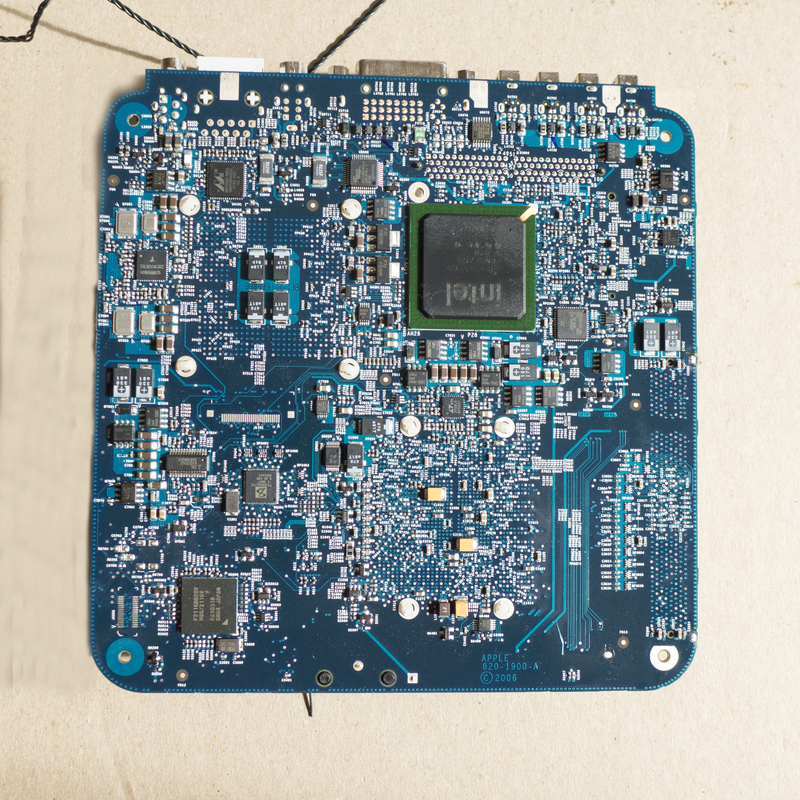 However, the next image is a positive sign of my computer savvy and undoubted capacity to recover, intact, a disk stuck in a vintage Mac Mini.